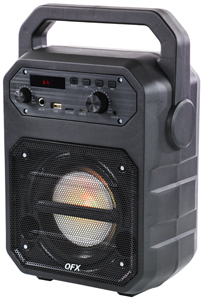 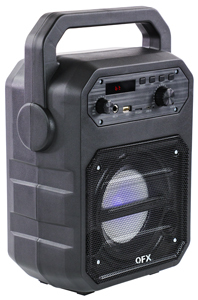 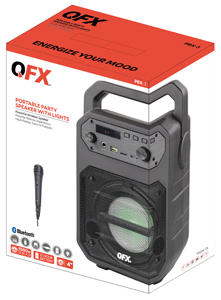 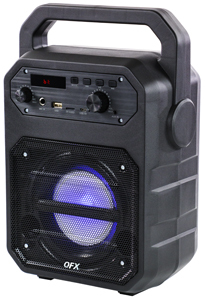 QFX’s Bluetooth Party Mini packs big sound with wireless, Bluetooth streaming or USB/SD/FM playback. Tell the world who you’re rooting for with the included dynamic microphone and microphone inputs. 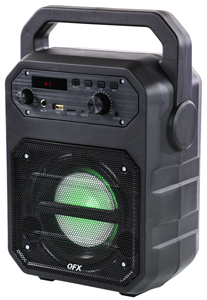 With a built-in disco mood lights, rechargeable battery, the durable Party Mini speaker is ready whenever and wherever the party leads.